How Slow Will it Go? Analysts attribute the domestic slowdown to a number of factors. The ongoing US-China trade war has led to tariffs on hundreds of billions of dollars of Chinese exports, while the increasing cost of Chinese labor has weakened its competitive edge in the manufacturing industry. 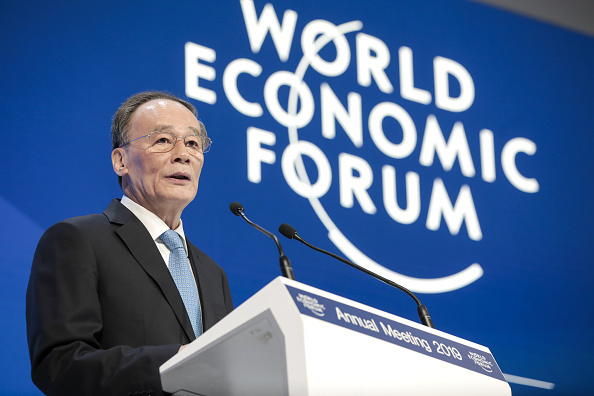 "There will be a lot of uncertainties in 2019, but something that is certain is that China's growth will continue and will be sustainable… I think [6.6%] is a pretty significant number," he said. "Not low. At all." Despite the reassurances that there's nothing to worry about, China's leaders have been taking steps to bolster its economy, including relaxing monetary policy, cutting taxes for small businesses, and investing over $125 billion into new rail projects. While retail sales in China are expected to remain healthy, a positive sign, these steps haven't been enough to boost the confidence of international experts. Some predict that the slowdown marks the beginning of a crisis in the Chinese economy, arguing it has enjoyed a dangerously unbalanced rate of high investment and low domestic consumption for years on end. Others expect China's deceleration to spill over into the global economy. As a leading buyer of soybeans and oil, American farmers and energy producers will be among the first to feel the blowback from China's slower growth. Meanwhile, the IMF scaled back reports of global growth, citing deceleration in Europe, specifically in France, Germany and Italy, as well as the United States. "After two years of solid expansion, the world economy is growing more slowly than expected and risks are rising," said Christine Lagarde, managing director of the International Monetary Fund. "Does that mean a global recession is around the corner? No. But the risk of a sharper decline in global growth has certainly increased." The 40th anniversary of US-China diplomatic relations passed earlier this month on January 1st, with the special occasion largely overshadowed by the ongoing trade war and mounting tensions. Nonetheless, this week at the Carter Center in Atlanta, Georgia, scholars and politicians convened to discuss the past and present the bilateral relationship. Former President Jimmy Carter, credited for the birth of the modern US-China relationship, recalls the warmth that once existed between the leaders of the two nations: "I think all over America, the reason that the new relationship between our two countries was accepted by the American people, which was quite a change by the way, was because of the effusive friendship that Deng Xiaoping inspired in his own personal character." 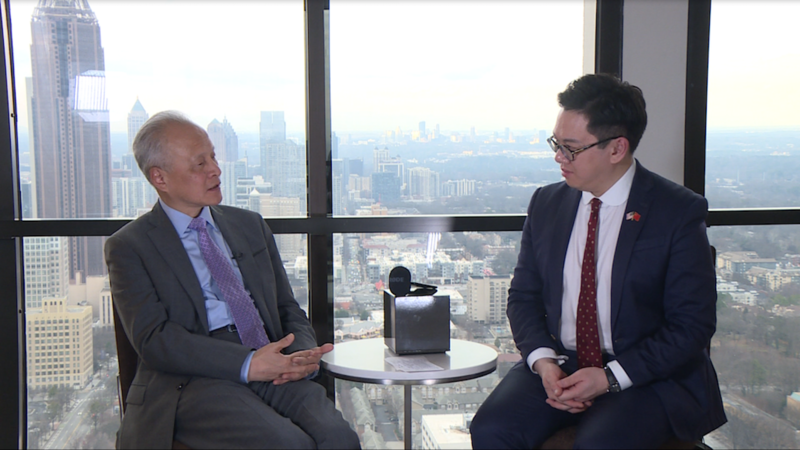 He also offered to China-US Focus editor-at-large James Chau his suggestions for Presidents Trump and Xi to resolve the current U.S. dispute, which are featured in an exclusive podcast interview. Similarly, Chinese Ambassador to the United States Cui Tiankai emphasized the value of mutual cooperation: "Of course, [China's] goal is to bring a better life to the Chinese people, but we're also ready to contribute more to the progress of all humanity, including through science and technology… [Cooperation is] for the greater good of the entire mankind." Politicians on both sides still hope for a friendlier relationship, but cooperation in many aspects of the relationship has proved to be challenging. Even in the cultural market, Chinese and American organizations have become increasingly unwilling to promote cultural exchange, and there is "increasing pushback against heavy-handed so-called public diplomacy efforts, including closure of Confucius Institutes," according to Cathy Barbash, a specialist in US-China cultural diplomacy. According to Kevin Rudd, the US-China relationship is currently in a period of disruption "without any real rules of the road," where there is "a greater risk of crisis, conflict or even war." Looking ahead, the next round of trade negotiations are set to take place next week, with Chinese Vice Premier Liu He to meet with US Treasury Secretary Steven Mnuchin and US Trade Representative Robert Lighthizer in Washington. Some analysts see the attendance of a high-level Chinese official to signal that China is willing to cooperate with US negotiators, which may set a positive tone for the relationship as we embark on the fifth decade of official US-China relations. 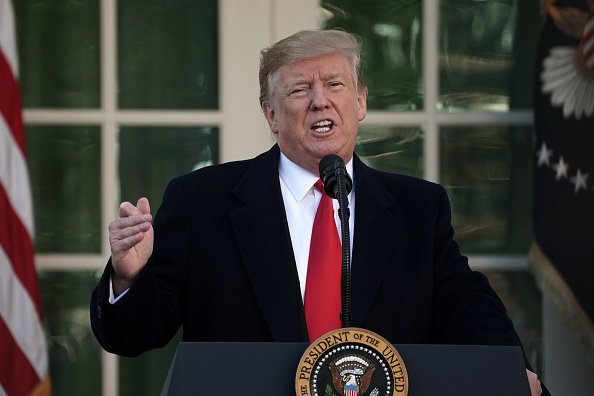 As the US government shutdown entered its 35th day, President Trump agreed to reopen the government for 3 weeks, temporarily allowing government agencies to resume duties and federal workers to be paid while Congress works on a joint border security agreement. However, consequences of the shutdown have already rippled across the globe, and highlight the increasingly intertwined nature of the US and Chinese economies. For instance, one group hit hard by the government shutdown has been American soybean farmers, who were initially caught up in the US-China trade war when China levied retaliatory tariffs on soybeans. President Trump promised to offset the impact of China's soybean tariffs with a $12bn government package, but the Farm Service Agency office, which is supposed to pay out assistance to affected farmers, was shut for the past month. "These payments in many cases are very much depended on in order for folks to get through the year and pay loans and so forth," said Roger Johnson, president of the National Farmers Union. Without a working agricultural department, farmers also can't access statistics and crop reports, such as reports on the world agricultural supply and demand, which were intended to be published this Friday. Global markets too are affected, as without these estimates, investors around the world can't set reliable prices on global crop futures. If another shutdown happens after this 3 week break, Johnson expects crop prices are likely to continue to decrease, deepening the impact on American farmers and President Trump's voter base.